Ever wonder how people got into crypto currency that quickly? I do not mean “got into quickly” that they learned what crypto currency is and how to get one. I mean, how did get it without mining or straight up buying them from exchange websites. When talking about crypto currencies, what comes to your mind? Black market websites wherein you are able to buy drugs? Or unregulated websites that sell munitions? Most of these can be true, but there might be something that you left out, and that is trading. 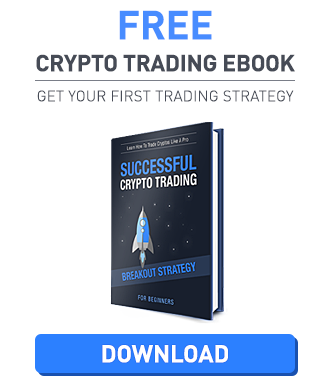 Yes, crypto currency trading exists and a lot of people now are taking advantage of it. Compared to a regular trading platform where commodities and stocks are being traded, with crypto currencies, expect something volatile. This is where some people get their adrenaline rush in trading something that moves so quickly but the payouts are great! So where do we start? Today, we will be talking about Markets.com and how to start trading, what’s in it for us, and how to profit from the website. But first – a warning: CFDs are complex instruments and come with a high risk of losing money rapidly due to leverage. 73% of retail investor accounts lose money when trading CFDs with this provider. You should consider whether you understand how CFDs work and whether you can afford to take the high risk of losing your money. Before moving forward, I would want you to envision small empty boxes that you will then later put a mental check at if these points are being covered. Why? Well because, if you are fairly new to trading, you wouldn’t have any idea on how to check a website out and they would just look all the same. How would you know if you are on the right track? These “boxes” will help you out. Check them on our index page below the comparison table. Now that we know what you need to keep in mind in exploring these broker websites, let us start looking into what Markets.com has for us. Let’s take a look at where they are registered and what countries are restricted. 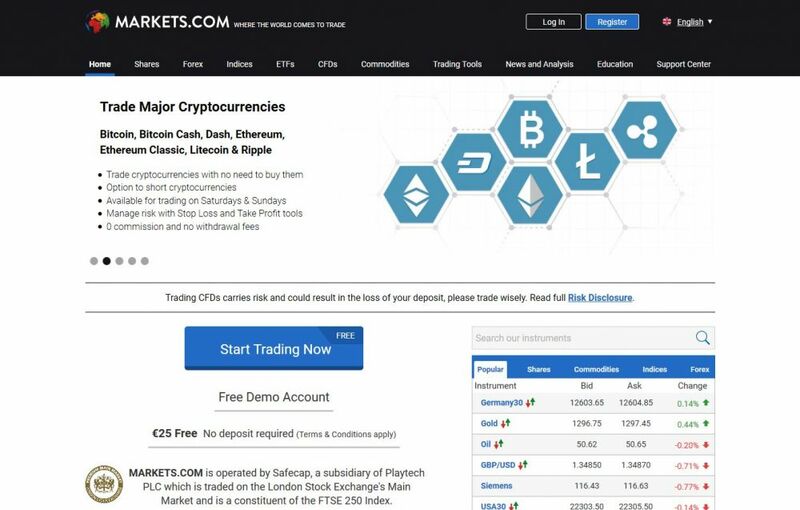 As what is listed on their website, Markets.com is operated by Safecap Investments Limited and is a regulated investment services company authorized by the Cyprus Securities and Exchange Commission or CySec under the operating license #092/08. They are also authorized by the Financial Services Board or FSB located in South Africa as a Financial Services Provider with the license #43906. Safecap Investments Limited is located at 148 Strovolos Avenue, 2048 Strovolos, P.O. Box 28132, Nicosia, Cyprus. Countries that are not allowed to create an account with Markets.com are as follows: Afghanistan, Algeria, American Samoa, Angola, Australia, Belgium, Bosnia and Herzegovina, Brazil, Cambodia, Canada, China, Cuba, Democratic People’s Republic of Korea (DPRK), Guam, Guyana, Hong Kong, Indonesia, Iran, Iraq, Israel, Japan, Lao People’s Democratic Republic, Macao, Malaysia, Myanmar, New Zealand, Northern Mariana Islands, Panama, Papua New Guinea, Philippines, Puerto Rico, Russia, Singapore, South Korea, Sudan, Syrian Arab Republic, Taiwan, Thailand, Turkey, Uganda, US Virgin Islands, USA, Vanuatu, Vietnam, Yemen. 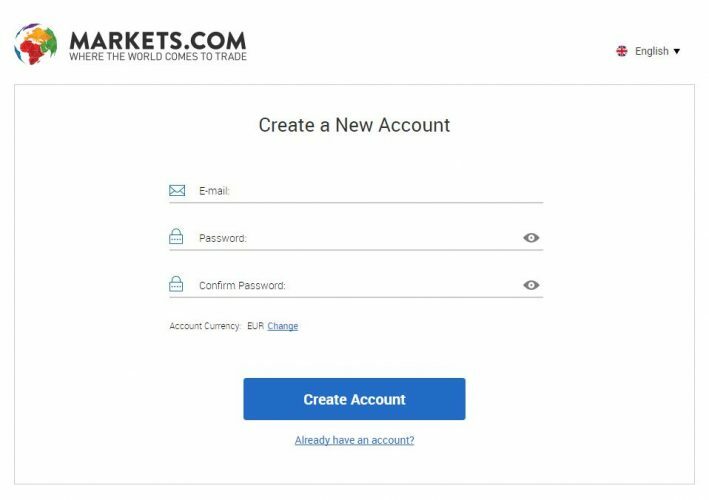 Now let us move forward in try to create an account with Markets.com. Please be advised that if your country is listed above, you are not able to create an account with them. If your country is not included then you are able to register with them using this link. I will also be registering an account so that you guys can see beforehand on what to expect when creating an account with them. They only need to have a registered email and your password for the new account. Below the mentioned requirements, you also need to pick a currency for your account. Please be advised that this is not a restriction on the currency you are only able to trade with but simply a base currency that would show under your account. Once you submit the registration form, you will be redirected to a new page with a prompt saying “Welcome” and an advice to complete the registration process. To complete the process all you need to do is open up the registered email and click on the “VERIFY EMAIL” box that is provided. By clicking this, you will be redirected back to their website and ready to trade EUR 10,000 in demo account funds. But before you are able to start trading with demo funds, you need to complete the registration process. This page would ask everything from your Personal Information, Financial Information, Trading Experience, and Financial Knowledge. Once you are done with filling up the form, it is time to open up your Demo Account. This is one thing that you need to put in mind when looking into Broker websites such as Markets.com. If they have a demo account available to play with, the better! Notice that on the left-hand side of the trading screen you are able to see different tabs to choose from. I know they are a lot, but I need you to focus on one thing, which is the “Currencies” tab. Click on the currencies tab and select Crypto which will open up the trading tab for crypto currencies. Here you will be able to see pairs of BTC-USD, DASH-USD, LITE-USD, ETH-USD, and a lot more. Always keep in mind to buy low and always sell high. Here on the screenshot above, you are able to see that I purchased 9 BTC and 45 ETHER against the USD. You are able to see all of your open positions on the tab located above. Below the available positions, you are also given a graph on which you are able to use to see the trend from a minute to one week. My Account – On the “My Account” tab which is also located on the left-hand side of the screen, you are able to see some really important information that you need to keep in mind. 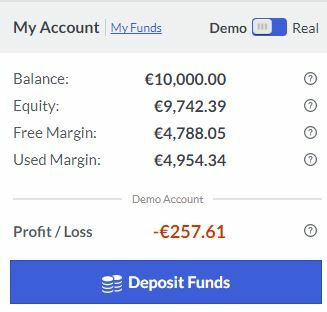 Balance shows your account’s value excluding P&L (Profit and Loss) from all open positions on the website. This is also equivalent to the funds that you have deposited into your account, as well as this includes P&L from all your closed positions. Next would be Equity; this is your account’s current value. This is equal your current balance with any profit and loss from open positions. This can either move up and down if you have open positions being placed. The third part is “Free Margin”, this is the sum of all the funds available to use as initial margin for new positions that you want to take in. This can be calculated by subtracting the margin used by your current positions from your Equity which was mentioned above. The fourth one is “Used Margin” which indicates the sum of the current funds being used for your open positions. Last but not the least; we’ve got the profit/loss wherein you are able to see the value of your current positions. This is the numbers that you need to keep an eye on. What’s great about Markets.com is that they do not leave anyone behind when it comes to trading. You are able to get full support when it comes to trading education. Though they are not a website that teaches you everything, they try their best to educate people into becoming more responsible and profitable traders. Here you are able to maximize your account with the Webinars they provide and the Trading tools that you are able to use to your advantage. As mentioned above, you are able to select which currency you want to trade with using the available tab located on the left-hand side of the homepage. Once you have selected which currency to trade, just click on “Buy” and a separate window will show up just like the sample screenshot below. On the right-hand side of the screenshot you can see how many units (contracts) you are able to purchase. On the lower part of the tab, you are able to see the “Stop Loss” button and “Take Profit” button which you are able to tweak on your own. The stop loss is your emergency break incase you want to short currencies and cut your losses before everything goes south. The “Take Profit” button is self explanatory as this works as your auto collect button where you set in the maximum profit you can take from the deal, making it easier for you to have “safer” deals which maximizes your profit per transaction. There is also what is called the “Information” button found next to the currency that you want to trade. Please take a look at the screenshot below. The Information tab (i) which can be brought up by clicking the tiny “i” button contains everything that you need to know about the current status of the currency that you want to trade. The important things that you need to take note would be the Leverage, which as you can see on the sample screenshot above shows 1:10. That means that every dollar, Markets.com is willing to put up 10 for you. This can also be seen on the Initial Margin which shows 10%, this means that you need to put up 10% of the total trade value and the website will take care of the rest. How does that work? After you have purchase a pair and a quick example would be BTC-USD, for let’s say $100. The broker (Markets.com) is asking for you to put up 10% of $100, which is $10 and they will take care of the rest which is $90. Awesome right? It is awesome if you know what you are doing. You see, what happens here is that when the broker sees that you are losing the position against the currency that you bought, they will cut the ties and you will owe them the money that they lend you to purchase the pair which is $90. On the other hand, if the pair you bought would profit, then they, or you can manually arrange the selling for profit, pay the $90 back and rake in more than your initial investment of $10. Trading with a leverage means that you have more than a dollar to your dollar. And Margins work just like loans, any broker is willing to give you a Margin account as long as you know how to get one. Here at Markets.com, a margin account would depend on the level of trading you are in. Which can be answered on the registration sheet. If you have any doubts on how to trade, please take advantage of their free webinars which can be located here. A really good website has all the features that a trader must need. The most important part of a website is their ability to refresh through pages as you will be doing a lot of these. 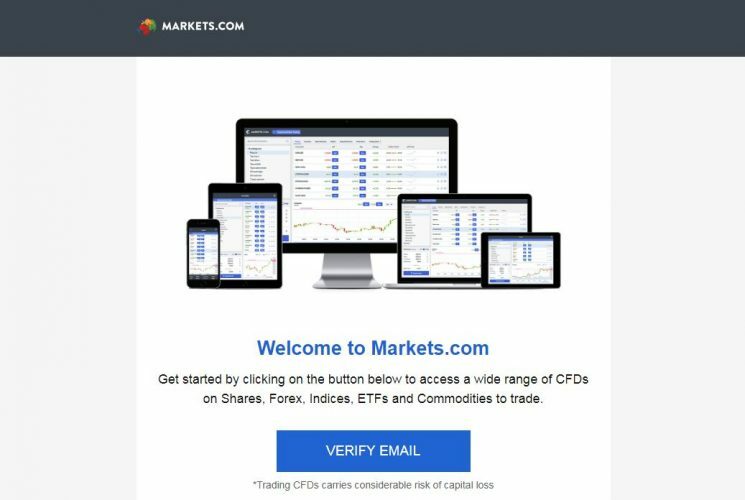 Markets.com website is professionally designed and it comes with really useful trading tools that you can use to your advantage. 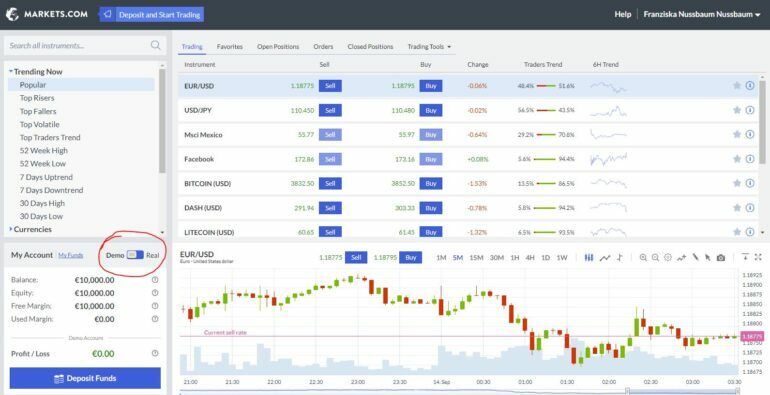 Under their “Trading Tools” tab you are able to get to their Economic Calendar, Economic Events, Market Consensus, Traders Trends, and a whole lot more! They also have promotions which you are able to see here. Current promotion is the free demo account that you are able to use and trade with. In addition, they also have a mobile-friendly website which you are able to access with the use of your mobile devices. If you are ready to deposit, or just curious on how the deposit in Markets.com work, then all you need to do is click on the “Deposit Funds” button located on the lower left-hand side of the website. Or you can access it through the upper right-hand corner of the screen through the “Menu”. Once this has been clicked, a window will pop-up showing how much you want to deposit on the currency that you have chosen when you registered with them. The minimum amount to be deposited is EUR 100 for my Euro account. Based on the leverage 1:50 that they have given my account with. Please be advised that your leverage will depend on the answers that you have provided during the registration process. When it comes to withdrawals, all you need to do is click on the Menu which is located on the top right corner of the screen. Select the withdrawal tab and you will be redirected to the page wherein you are able to choose which method you want to withdraw with. For you to be able to withdraw, your account needs to be verified before submitting a request. You can read more about how to get your money in and out from the website here. Fees are subjected to the payment method you are using to deposit or withdraw but the website doesn’t charge you for the transactions directly but standard bank fees apply. For example, if you use PayPal, there would be a fee for the transaction and that’s all there is to it. The website profits from the spreads and the trading transactions within the website. Now that we have an idea on how to create an account, attempt to trade, deposit and withdraw our money from the website, it is time to know on how to contact them. You are able to contact them through their email support and live chat features. Their Live chat is fast and does not take that much time to get back to you with an answer. In addition, Markets.com has 15 available languages to choose from. Some of the supported Languages are Arabic, Dutch, French, German, Italian, Norwegian, Spanish, Russian, and Swedish. Have you checked all the envisioned boxes I was talking about earlier? Then that is great! The website is designed professionally as long as you get used to all the tabs. Markets.com can really be called a legit broker website due to their regulated operation. Would I recommend the website? Of course! The website is great and it has the demo account which you are able to play with. They also have very useful educational tools that you are able to use to your advantage. All-in-all, a really great website to start trading crypto currencies today!